To launch the new Stronger Together fragrance collection by Giorgio Armani: Because it’s You and Stronger with You. As the products were a complementary pair of female and male fragrances, it was clear that the campaign needed to be implemented by couples. The idea was to focus on the message of unconditional love, of powerful and happy relationships. 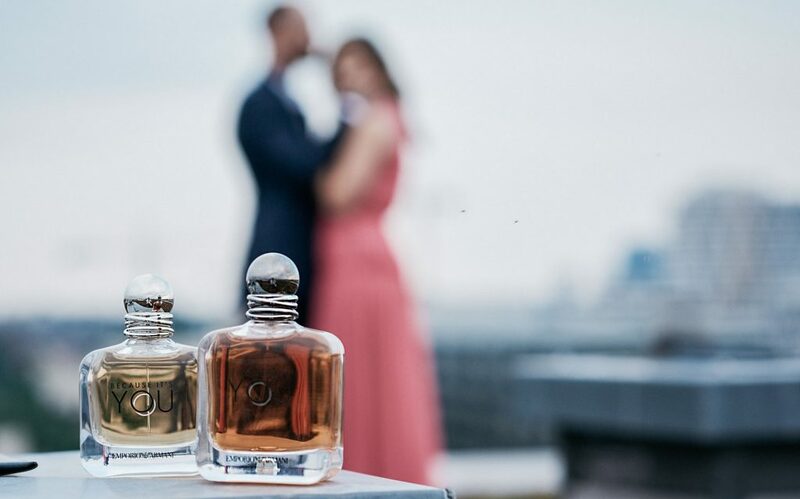 Various influencer couples promoted the fragrances within the context of their very own love stories. 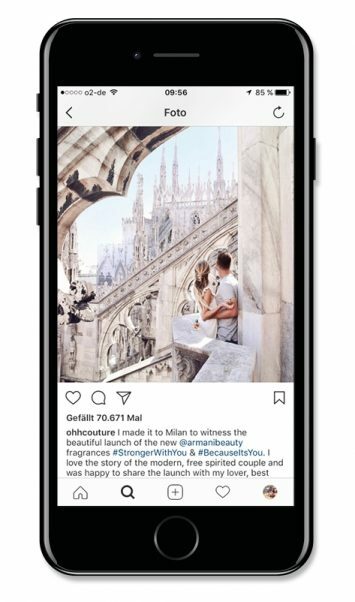 The launch of the Giorgio Armani fragrance took place in the italian fashion capital Milan, where several influencer couples celebrated the idea of love and unit together. The fragrance pair were presented by five female bloggers together with their partners. Using their Instagram and Facebook channels, as well as the personal blog posts, female as well as male readers could be targeted. On top of that, 20 more influencers shared the fragrance and their personal lovestories with the hashtag #strongerwithyou. Transparency in the evaluation of the campaign is our number one priority. An exclusive report with additional data is guaranteed for each client.